Dr. Reiter is the Bing Professor of Urologic Oncology and Director of UCLA's prostate cancer program. He attended Stanford Medical School, completed his urologic training at Stanford and Baylor College of Medicine, and completed additional fellowship training in urological cancer at the National Cancer Institute. Dr. Reiter was awarded the Outstanding Achievement Award by the Urologic Oncology branch of the National Cancer Institute. 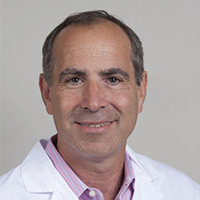 His clinical and research interests include improving management of prostate cancer using functional MRI and molecular imaging of the disease, robotic prostatectomy, molecular biology of prostate cancer progression, and precision medicine and clinical trials for management of high-risk and metastatic prostate cancer. He specializes in robotically-assisted prostatectomy and cystectomy, as well as open surgery, with robotic experience dating back to 2004, for bladder, prostate, and renal malignancies. Dr. Reiter is involved in all aspects of urologic oncology, with an emphasis on prostate cancer, and brings extensive experience in robotic surgery and the applications of translational research and the latest in MRI and molecular imaging to the management of men with this disease. He is Principal Investigator on UCLA's Prostate Cancer SPORE, a 12 million dollar federal grant that is focused on translational research in prostate cancer. Blood in the urine means there are red blood cells (RBCs) in the urine. Often the urine looks normal to the naked eye. But when checked under a microscope, it contains a high number of red blood cells. Here's what you need to know.